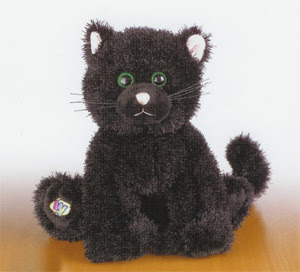 A Black Cat Webkinz is cute, adorable and just in time for trick or treat. In time for Halloween. The Webkinz is seasonal and will be a limited edition. I have this Webkinz and I have given him a Name. His name is Mystic. It's a very mysterious name to me. My daughters love the name that I pick out. Yes, I have just as many Webkinz as my daughters have. I adore them and I am a collector with many Webkinz I have adopted. Hurry and get your Black Cat Webkinz. What a joy and great trick or treating together.